Levittown, NY, USA. June 4, 2018. 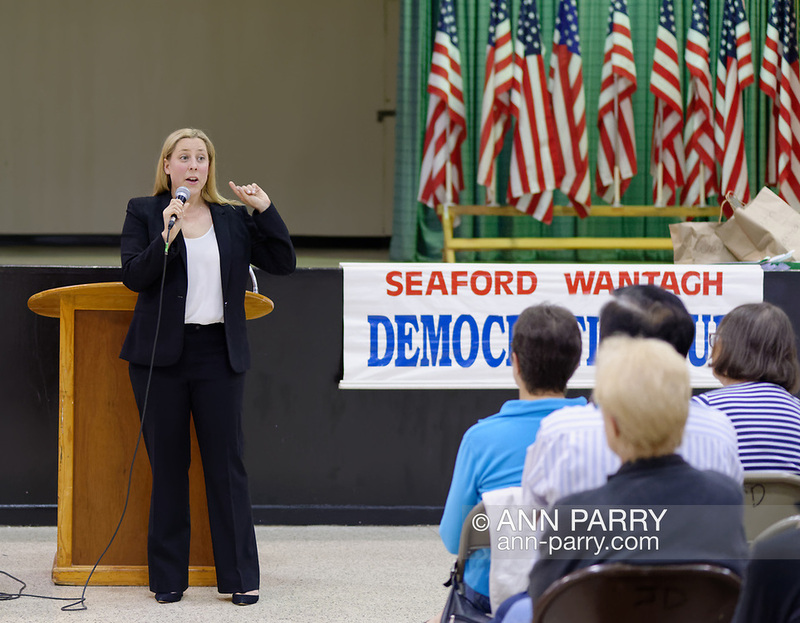 Candidate Liuba Grechen Shirley speaks during Congressional District 2 Democratic primary debate with Suffolk County Legislator DuWayne Gregory held by Seaford Wantagh Democratic Club at Levittown Hall.